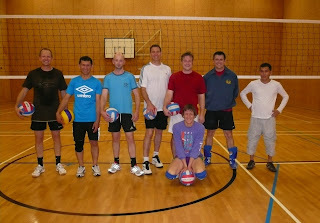 The Nottingham Arena Volleyball Club (formerly known as Bingham Volleyball Club) moved to the National Water Sports Centre in 2008. As Bingham Volleyball Club we flourished for well over 20 years. Wherever we have been based we have attracted new players to the club from all parts of the East Midlands. We have players from all walks of life, nationality and culture, and our club is open to everyone. Whatever your standard, from beginner to the experienced, you'll be made welcome. There is no age limit set by the club but current players are 15 years and over and for safety reasons it would be difficult to take anyone younger. 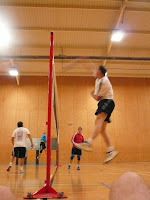 The club plays competitively and has a men's team in the East Midlands Volleyball League, and a mixed team in the Nottingham League. The club actively encourages anyone to join and take up the great sport of Volleyball.